A team of 4, including former quizzer Bethany Hartzell and her father, Pastor Neal Hartzell from the Albion, IL FMC visited the island of Helena (Santa Elena) in August 2017 to promote Bible quizzing. In late July of 2019, Bethany and Neal Hartzell will be returning to the Mission Encounters International (MEI) school in Helene, Honduras with a group of 15-20 Bible Quizzers. Team Honduras plans to teach Bible Quizzing, prepare a tract of donated land for a soccer field, and endow the resident school with various supplies. One of the purposes of this trip will be to engage students in discipleship with peers from Bible Quizzing. 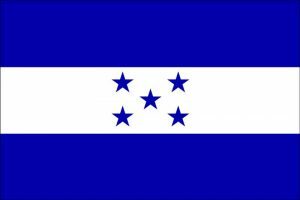 Team Honduras will be holding a week-long Bible Quiz training camp with the intent to encourages the students of the school to continue after we leave. Thanks to the generosity of an anonymous donor, this group will bring two new sets of Bible Quiz seats to the English school there as well as Bible Quiz material for Jonah and Ruth for 100 students and teachers. Two years ago, Mission Encounters International was gifted an area on Helene to be transformed into a soccer field. As of yet, MEI has been unable to fund or find a willing group to transform the area into a soccer field. Team Honduras intends to be the group to finish this project not only through financial support but also physical labor. Additionally, Team Honduras will be bringing school supplies. As per request, Team Honduras will bring stationary and over-the-counter medication. In hopes of supporting not only the scholarly endeavors of the students but also the physical, MEI maintains the only hospital on the island located at the far side of the school. They are always in need of over-the-counter drugs, since the isolation of the island makes transportation of those good expensive. Team Honduras will be looking to minister to the MEI school by engaging in discipleship, supporting physical health, and encouraging education.